Officials say U.S. administration focusing on improving conditions in Gaza in order to pressure PA to resume peace talks. Administration officials in Washington are focusing on improving conditions in Gaza in a move that could put political pressure on Palestinian Authority (PA) leaders to come to the negotiating table with Israel, The Washington Post reported Saturday. The move comes as President Donald Trump’s Middle East peace plan is stalled due to the PA’s anger over his recognition of Jerusalem of Israel’s capital and his relocating the U.S. embassy to the city. Jared Kushner, Trump’s senior adviser, and Jason Greenblatt, his special envoy, recently completed a tour of the region. They met Jordan’s King Abdullah II, Saudi Crown Prince Mohammed Bin Salman, Egyptian President Abdel Fattah Al-Sisi and Prime Minister Binyamin Netanyahu, but did not visit Ramallah or meet any PA officials. 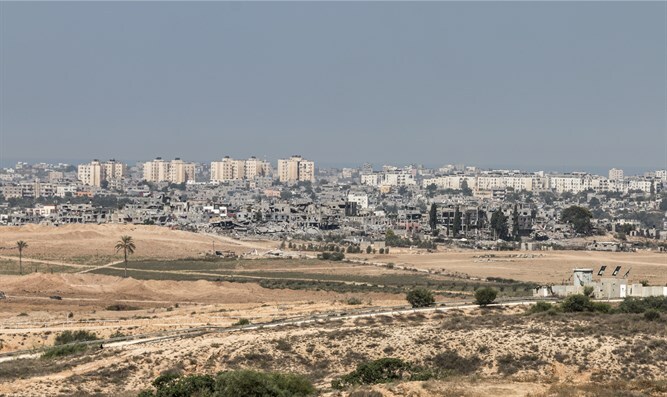 The ongoing PA boycott, according to The Washington Post, has led U.S. officials to consider options for an infusion of development aid into Gaza, a perennial trouble spot that is controlled by Palestinian Authority rival Hamas, in hopes of relieving the humanitarian crisis there. In doing so, the United States could demonstrate a commitment to the Palestinian people that could make it more difficult for PA chairman Mahmoud Abbas to continue to rebuff overtures to engage in the peace process. One possibility would be projects to improve Gaza’s electrical and water services in the short term, most likely funded by Persian Gulf states and other potential donors and coordinated with UN Middle East envoy Nikolay Mladenov, according to the report. Israeli officials said they welcome a “Gaza first” approach as a way to both put pressure on Hamas and wait out the rival Ramallah-based PA leadership. Israel, Egypt and the Palestinian Authority maintain an embargo on Hamas-led Gaza. U.S., Israeli and Arab officials requested anonymity to discuss the U.S. diplomatic initiative because the plan led by Kushner remains under wraps. A recent report said the Trump administration is trying to convince Arab monarchies in the Gulf to invest hundreds of millions of dollars in economic projects in Gaza, in an attempt to calm the security situation in the coastal enclave and generate momentum before the White House presents its Middle East peace plan.